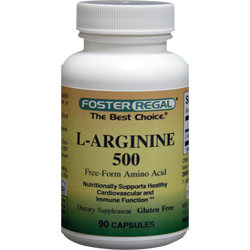 L-Arginine is one of 20 amino acids, the building blocks of protein. Arginine is a conditionally nonessential amino acid, meaning that most of the time it can be manufactured by the human body, and does not need to be obtained directly through the diet. The biosynthetic pathway, however, does not produce sufficient arginine, and some must still be consumed through diet. Individuals with poor nutrition or certain physical conditions may be advised to increase their intake of foods or supplements containing arginine.